One of the greatest books that came out over the past ten years has to be The Mission of God by Christopher J.H. Wright. 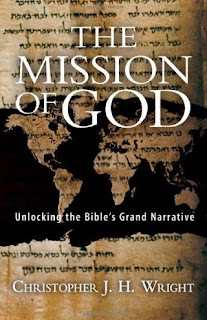 In this book, he goes through the story of Scripture to reveal how God has had a mission from the beginning; a mission that is centered on a plan and purpose of redemption for all nations. I encourage everyone to invest in this book and apply it to your life. It will cause you to obey the Great Commission, and propel missiological functions in your ministries (i.e. home, family, work, church, small group, etc.). Although this passage resonates with unity among different ethnicity and nationality people groups, I believe "the plan" and "eternal purpose" Paul is explaining absolutely encompasses and involves ages as well. The specific ages I am interested in is teens. God desires to use the youth and has proven this to be true. Did you know that it is "college students" who lead the majority of recent revivals and great awakenings for missions over the past five hundred years? And how do you think these college students were able to go out and preach, teach, and reach the nations with the Gospel? They were taught the Word of God as teens. Faithful parents and laymen taught them the fundamental doctrines and truths of Scripture in their young age. God commanded the Jewish people to do this everyday with their children (i.e. teens) in Deuteronomy 6, 11. Throughout the Bible, the word "children" occurs the most in the book of Deuteronomy. The reason why it occurs the most in Deuteronomy is because of the casuistic instructions to remember, repent, and repeat the Word of God given by Moses during the Exodus so the younger generations would worship the one true God, Yahweh. Moses gives timeless instructions, "Be careful to obey all these words that I command you, that it may go well with you and with your children after you forever, when you do what is good and right in the sight of the Lord your God (Deuteronomy 12:28)." Thus, Deuteronomy tells us to wake up and teach the younger generation so they will be apart of the tribe when they get older and lead the next generation. To lead the next generation, Moses says, is to participate in the plan and purpose of the mission of God he started in the Exodus (and later is fulfilled in Jesus Christ as Paul mentions). There are two ways the mission of God unfolds through discipleship. First, biological discipleship is grounded in creational means because the Lord taught Adam to be fruitful and multiply "image-bearers" for God's glory (i.e. raise your children in the ways of the Lord). Simply, believers have children and make them into disciples with the hopes they will do the same when they get older. Second, generational discipleship is grounded in age groups (i.e. do not wast your youthfulness). Teens are to not waste their youth, but use it for the glory of God and reach others their own age. Therefore, in the plan and eternal purpose of God, I would suggest he desires for teens to know Him, and make Him known more than any other age group because of their diversity and ability to reach the massive numbers of the youth in the world. I have a heart for teens, and for them to know Jesus Christ. However, that is not enough. My burden is broader than just that because intellectual assent (just a faith, no obedience) or biological acceptance (raised as a Christian) is emptiness. The true way for teens to know Jesus Christ is to know the truths of Scripture (apologetics), the doctrines of grace (salvation), and the love of God (sanctification). All of these things encompass the mission of God. I hope teaching these things to teens will get them involved in the plan and eternal purpose of God as Paul so clearly articulated. Dads: If you don't read the Bible or pray, your kids will grow up thinking that a real man doesn't read the Bible or pray. I am a firm believe alongside Driscoll because any teenager can use a cop-out and say, "You tell me I have to read my Bible and pray everyday, but I never see you read or pray, Dad!" Wow. Being a Dad is ministry. Being a soon to be Dad, who is in ministry, I want to make sure my children will see their Dad reading Scripture and praying in front of them (and with them of course) everyday. There is a visual display of active obedience to the Gospel that all parents must demonstrate. Do not be unrealistic or super spiritual. Reading Scripture and praying in front of our kids is not for personal boasting, but for boasting in the Gospel and importance of reading, studying, mediating, and living out the Scriptures! Be a witness in your home, Dads! 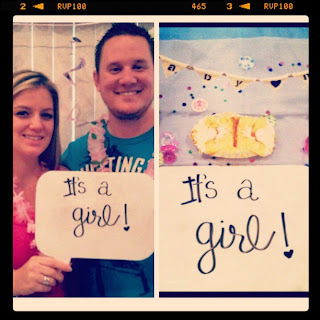 I Am Going to Have a Girl! At beginning of June, my wife and I had a gender revealing party with our families to find out if we were going to have a boy or girl. We had special cupcakes made for us with a blue or pink filling. We asked the doctor who checked the gender for us during the formal ultrasound to put the gender in a sealed envelope and send it to our baker who would secretly fill the cupcakes with the appropriate filling. Well we had the party, cut open the cupcake, and it was PINK! I am going to have a Daddy's girl, a little princess. My wife and I already have a name, Emma Rose McCauley. It is going to be amazing when she is born. I cannot wait! I think Ravi Zacharias has some of the best content on YouTube regarding apologetics and Christianity. Here is a short video on his debate about Jesus Among the other gods/religions. So compelling! Here is Baby Mc! Technology is amazing. 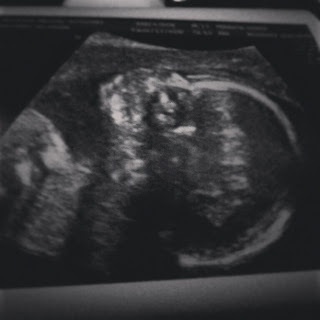 Check out this shot from the formal ultrasound that my wife and I just came home from at LLUMC. It was a long day at the doctor's office, but it was worth it! 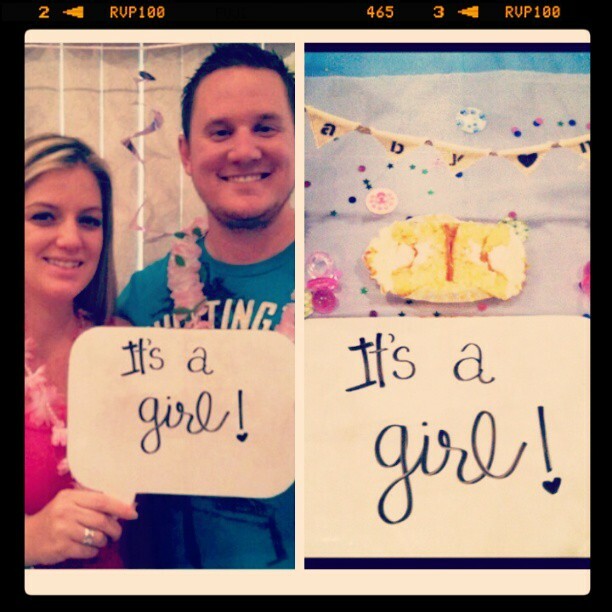 This weekend at our gender reveal party, I will find out if it is a boy or girl! What is your favorite subject in Christian Studies? Welcome! This blog is used as a resource and academic outlet for all of the exciting things I continually learn as I grow in the grace and knowledge of Jesus Christ.